Apple has kicked off its ‘It’s Show Time’ event and you can follow all the updates from the keynote right here. Looking for the video live stream link instead? Then head over to this link instead. Kicking things off with the usual intro video but this time’s it’s retro beyond belief! If you ever needed more proof that this is a ‘video’ centric event, then this video is proof enough. Apple CEO, Tim Cook is on stage. Tim Cook says this is going to be an exciting event. We’re counting on it big time. And yes, this is a service-based event. Apple has a whole range of services. That’s right, Tim. You do. Siri, Maps, FaceTime, Find My iPhone – all examples of services. Oh boy, it’s fairly obvious that the AirPower charging mat is not happening at all today. 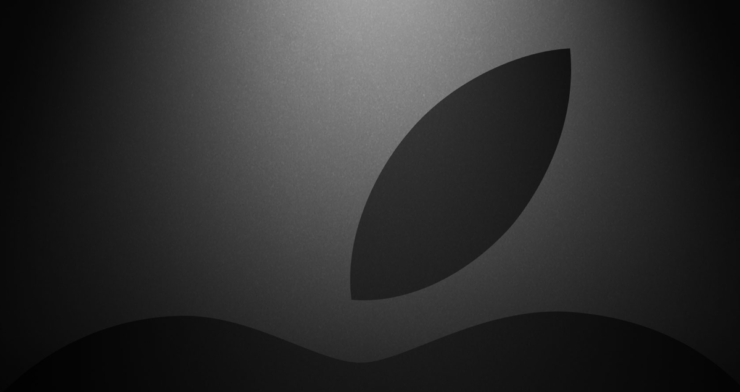 First up on the list of services being announced – Apple News. News app is the number 1 news app in the world. Wow, that’s big! Tons of magazines to choose from, including Billboard, The New Yorker, Nat Geo, Fortune and more. The new services is called Apple News+. And it’s video time now. Apple is taking news very, very seriously. That video was surely mesmerizing. Roger Ross on stage to talk about Apple News+. 300 magazines to choose from. If there is no MAD Magazine here then I will be very disappointed. Magazines have live covers. Wow wow wow. Navigation looks crazy simple. This is how magazines should be on a mobile device. My Magazines under the News+ tab gives you access to your favorite and interest magazines. Not bad at all. These are not just ‘scanned’ magazines. These are big-time digital versions with interactive and live content. The magazine looks crazy good on the iPad! Apple News+ is more than magazines…. It features newspapers and super big publications like The Wall Street Journal. Curation is going to be spot on and privacy is bulletproof. Advertisers can’t track you. This is exactly what everyone wants to hear if you adore your privacy. $9.99 a month. $8,000 a year if you subscribe to everything in News+ individually. Works with Family Sharing at no extra cost. Available today with iOS 12.2, macOS 10.14.4. Available in United States and Canada. This is an absolutely killer deal! 10 billions transactions in 2019, so far. Apple Pay will be available in more than 40 countries by the end of this year. Apple is talking about the credit card. Oh boy. Apple Card completely rethinks the credit card. Sets new level of privacy and security. Sign-up from iPhone and start using immediately. Will be available across all your devices. Wallet app getting a big bump to track your finances. Trust me, Samsung Card incoming in a while. Spending trends are outlined in Wallet app. Rewards like system called Daily Cash that gives you cash back. Whoa! That was Aaron Paul in the crowd. Was it?! Seriously, we need this card in our lives right now. There are literally no fees on the Apple Card. No late fee, no international fee, etc. and it has the lowest interest rate in the industry. Goldman Sachs is the issuing bank for the Apple Card. It’s super secure, as usual. Goldman Sachs won’t sell your data. OK, Apple. Yup, there is a physical credit card too. Obviously. The card is made out of Titanium. No card number, no CVV, no expiration, no signature. What. If you do ever need all the above information you can just get it from the Wallet app. Tim Cook: iOS is the largest gaming platform on earth. Games is the most popular category on the App Store. Totally a subscription service incoming. Gimme, Apple. Gimme. World’s frist gaming subscription for mobile, desktop and the living room. Man, what is going on with Apple? Apple and gaming in the same sentence seems a bit odd. Video rolling on stage. These games look pretty darn cool. On a lighter note: Samsung Card and Google Card is totally going to happen after this event. Single subscription with Apple Arcade and you get access to 100+ exclusive and new games. Dedicated Arcade tab in the App Store. You can literally pick up from where you left across your devices. No ads. No extra purchases. The way Apple is highlighting ‘Offline play,’ is definitely a jab at Stadia. 150+ countries, available this Fall. This is something huge. Tim Cook really building the hype for this. An all-new Apple TV app incoming. New Apple TV app integrates all your movies and TV shows. One roof for everything. Access to cable bundles, blah blah blah. New service called: Apple TV Channels. Oh hey, HBO is right there! Woohoo, Game of Thrones, fans!!! The Apple TV app has been completely redesigned. Don’t know why, but my hopes are kinda crushed. I mean, I was expecting something bigger than this. On-demand content, movies, TV shows, sports, it’s all under one roof. Apparently, no early rentals, Netflix like streaming. Meh. Nothing special so far, really. The new Apple TV app looks stunning on iPhone or iPad. Great for consuming stuff on the go. Coming in May. Apple TV app coming to Mac this Fall. Apple TV app is coming to smart TVs! Now that’s news! Also coming to Roku and Fire TV. Apple TV coming to 100+ countries. That’s a huge jump from just 10 countries. It’s a service about original ideas and stories. Big names under the roof here. This video is rolling and rolling and rolling. Apple is coming in hard with Apple TV+. We definitely expect some big things. This is a star-studded event all of a sudden. Steve Carell, Jennifer Aniston and Reese Witherspoon on stage. All three are going to host The Morning Show on Apple TV+. Jason Momoa on stage along with Alfre Woodard. This is going to be an exciting show, apparently. Focused on immigration and a boy who runs a motel after his parents got deported. Wow. Big Bird on stage. We’re not making this up. An incredible new preschool show. Next up on stage: J.J. Abrams and Sara Bareilles. There are tons of more names when it comes to originals. Apple is going all-in with originals. Apple TV+ will be available in 100+ countries. Exclusive, original movies and TV shows every month. Commitment to high quality story telling. Tim Cook is back on stage. Look like it’s a wrap. Oh no. There’s one more storyteller left. Who is it? Who is it?! Come on, Apple. Don’t hype it this much. This is going to be a live thing on Apple TV+. Pretty neat! Tim Cook is back on stage. This is a huge step for Apple. Now it’s a wrap I think. Like, for real.